I do not think I am alone, when at times I've needed to adjust my pets' diets because of a few pesky ounces gained. 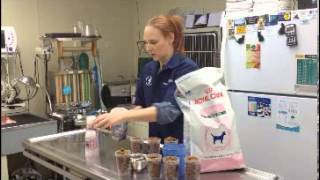 Makers of pet food offer feeding instructions on their bags of dry food. However, they don't really specify what an actual "cup" is. I have always assumed this meant eight ounces. After talking with my veterinarian, there seem to be other interpretations of "cup". Dr. Michelle Cahill has an interesting take on the cup problem in one of her latest videos. It's a good clip with a cat who would like to be a star. 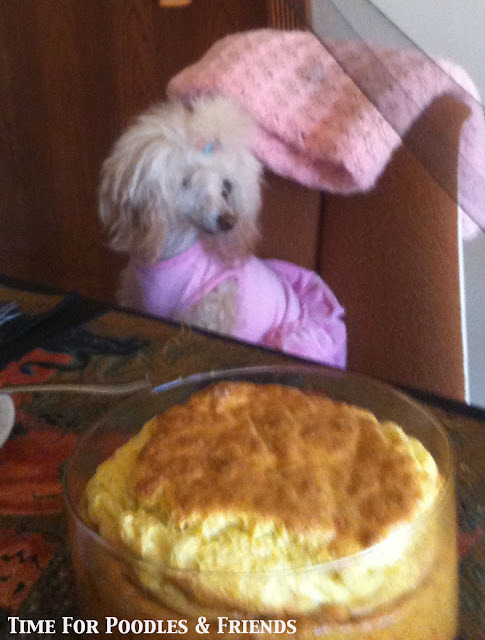 Table food for pets is a definite no-no at our house, so Sophia can only dream about that soufflé.